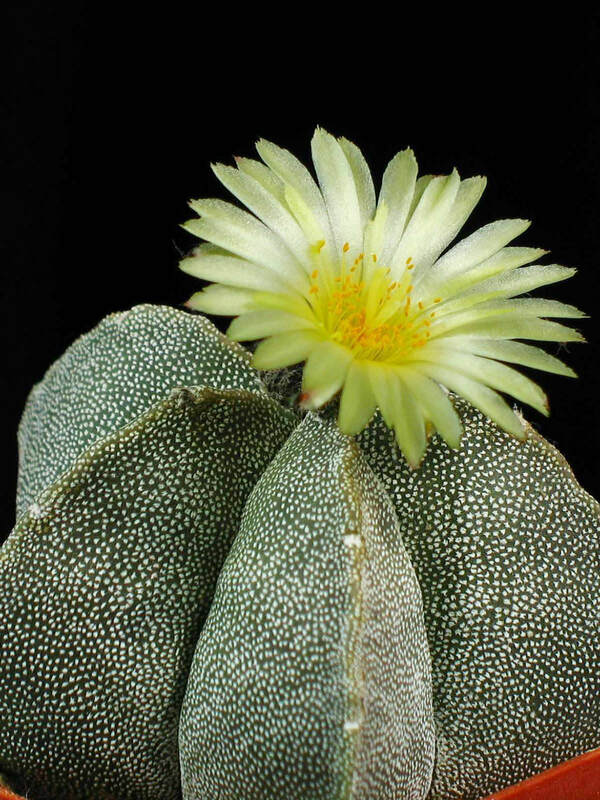 Astrophytum myriostigma is a spineless cactus, usually solitary or with very few basal branches. Globular to cylindrical stem up to 3.3 feet (1 m) and up to 8 inches (20 cm) in diameter, bright green, covered with many minute white hairy scales. Usually 5 ribs, sometimes 3 or 4, increase to 8 or more with age (rarely even 10). Funnelform flowers, up to 3 inches (7.5 cm) long, glossy yellow and sweet scented from the areole at the tip of the stem on mature plant. Greenish to tannish-red fruits, up to 1 inch (2.5 cm) in diameter, covered with brown, overlapping scales, with long wool in their axil. 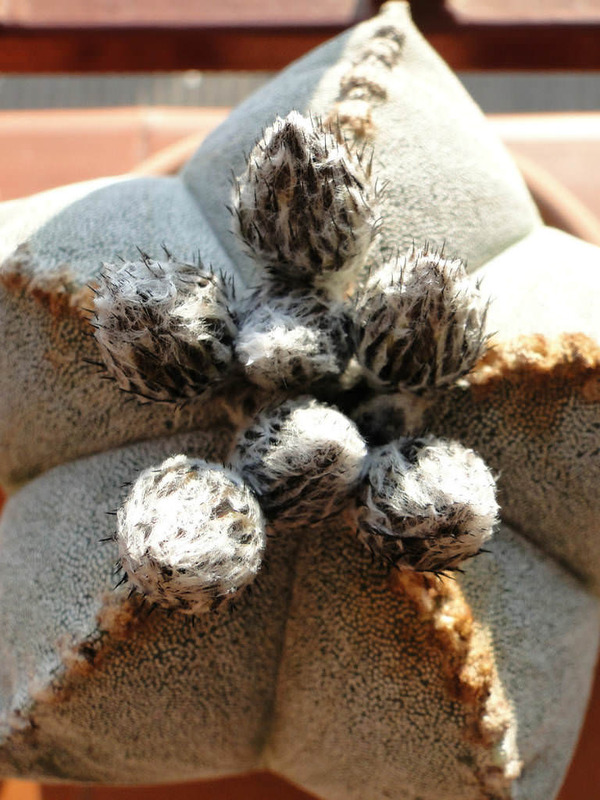 Bishop’s Cap is one of the easier Astrophytum to grow. It is sometime seen as a grafted plant but grows very well on its own roots too. 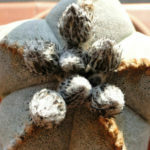 Like other star cactus, it does not ask for much water and thrives even with a very small, Spartan root zone. They demand fast drainage overall and are downright hard to kill except with excessive moisture and rich soils. Very slow growth and small size is what makes them ideal for bonsai pots and other creative containers on porch, window sill or balcony. 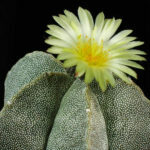 This is an ideal choice for beginners due to its lack of thorns, exceptional geometry and ease of cultivation indoors. 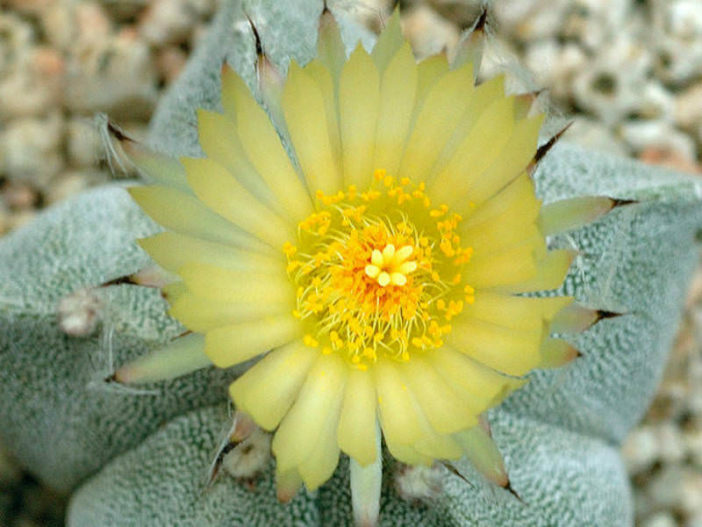 Native to the highlands of northeastern and central Mexico.